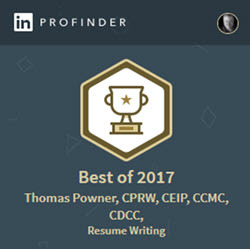 Tom Powner, CEO of Career Thinker has been awarded Best of 2017 form LinkedIn Profinder. A select group of professionals recognized by LinkedIn as the best in class within their industry. 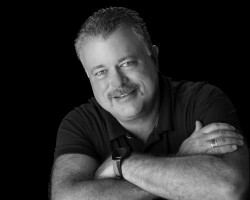 LinkedIn has recognized Tom Powner best in class for resume writing. LinkedIn Profinder is LinkedIn’s professional services marketplace that helps people find the best highly qualified, local professionals to hire for their project needs in specific categories.